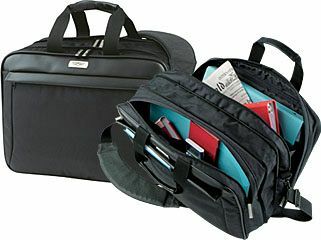 Produced by one of the market leaders, these excellent quality business bags are available in 1680D polyester material. Featuring outer zipped pocket, mobile phone pocket, pen loops and small internal pockets. The main compartment features a laptop pouch, additional open pockets, documents compartment and zipper pocket. These bags are of exceptional standard and are sure to portray your business and brand message in the perfect style.